Isle of Wight self catering holiday cottage accommodation ideally sleeps two (1 bedroom), situated in the beautiful quiet Isle of Wight west wight holiday cottages accommodation in rural countryside of Brighstone village at bottom of downs, in the area called 'Back of the Wight', furnished to a high standard with Free WiFi (own router - 50+mb), cleaned by us as our only holiday let property, detached with own shaded drive with garden and secure bike rack and cover. All the advantages of being within easy walking distance of the village centre and public house, with restaurant, a newspaper shop that sells food etc, a village food store with locally baked bread, freezer, local produce, off licence and Post Office with debit card cashing facility, surgery with pharmacy and hair dressers, also No 12 bus service from bottom of our road, and Community Bus route D in our road outside property. 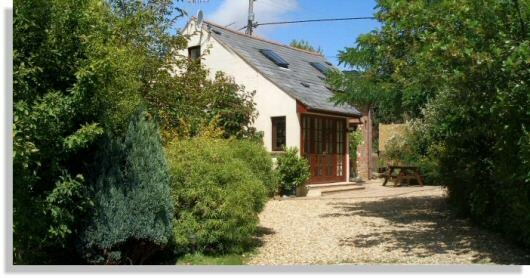 A great place to holiday within walking distance of Brighstone beach or 1.3 miles by car. The surrounding close villages (3) also have pubs with restaurants as alternative choices to eat out. The holiday cottage is situated at the bottom of downs in a quiet area with great walks all around, over downs or through the forest, also close by are Compton and Brook beaches. Voted best village for the ninth time and the island is one of the sunniest place in UK. Half of the island is classified as an Area of Outstanding Natural Beauty which includes the whole area around Brighstone, also the coast is classified as Heritage Coast. The island has the highest density of footpaths in the UK, many local footpaths have fine views, at the top of the downs above us by the bronze age barrows you can see across the Solent (North), English Channel (South) and towards the Needles and to Blackgang and the round island cycle route is at the bottom of our road. Much of the downs, forest and beaches are owned by the National Trust. 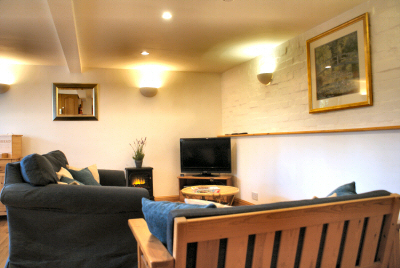 "We have had a lovely stay here at Carriers Stable, everything here you could want, very well equipped". 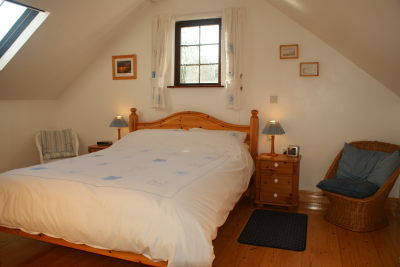 "Thank you for a lovely stay in your cottage, you have thought of everything". Follow wighthols's board Carriers Stable on Pinterest. Television 32" with Freeview Satellite Receiver with catchup TV which also picks up a considerable number of useful channels (more than terrestrial digital). Wi-Fi Router, (Free Wi-Fi service in Carriers Stable 50+mb from own router in building). Cupboard with clothes hanging space and shelves. Washing machine with soap provided & airers. Vacuum cleaners, brushes, buckets & bowl, airier, pegs & cleaning materials, etc. Two Electric oil filled thermostatic radiators on both floors and one 2 Kw wall mounted flame effect electric fan heater downstairs with remote controller. Radiators have been more than enough to cope with the coldest winters modern insulation throughout. There is no mains gas for 7 miles around Brighstone. 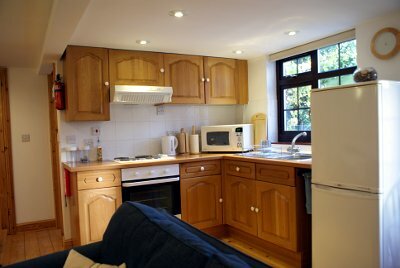 Building is pre heated before arrival for a warm welcome during colder months. One Large 5 foot very comfortable pocketed spring King size pine bed. 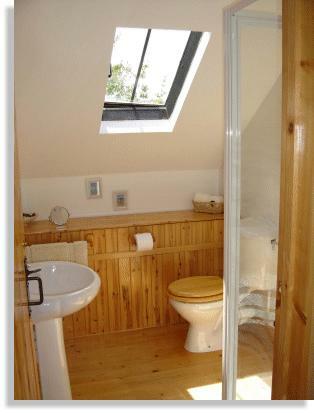 En-suite bathroom (shower not bath) with support hand rail, shaver socket 115v/230v, extractor fan and electric bathroom fan heater. Television/DVD Player 19" with Freeview Satellite Receiver with catchup TV which also picks up a considerable number of useful channels (more than terrestrial digital). Two Electric oil filled thermostatic radiators on both floors (total of 4). They have been more than enough to cope with the coldest winters modern insulation throughout. Building is pre heated before arrival for a warm welcome. Sorry no pets because of allergy problems with some guests. The property is not fully fenced off , so is not ideally suitable for children. Bedroom upstairs is open to the stairs the only door is to bathroom (no stair gate, or suitable anchor point). The stable flooring is almost all varnished pine and easily damaged by stones in walking boot treads, if you could please not wear walking boots in the stable it would be appreciated - thank you. We do not take any breakage deposit as yet, but do expect any damages to be paid before leaving. There must be at least one person in a group that is staying, over 18 years of age. We can transfer full camera memory cards to CD Rom at cost price, to allow further use of the memory card, as an additional backup, pictures can be retain on hard disk for one month after return if required. We can send faxes if required at cost price (telephone numbers starting 01,02 or 03 - free) UK only. Can also send dictated emails (free). The stable conversion is all electric and insulated to modern building control standards. There are electric thermostatic radiators with independent thermostic controls on both floors which has coped with the coldest weather. Electricity charges are included in the prices quoted. Free broadband (own router 50+mb). Good selection of island books, Walking, Cycling, History and Maps etc. All linen (bathroom towels, bed linen & tea towels) are included in price, except for beach towels which are not provided. Soap is provided for hand basin, shower (shower gel) & kitchen sink (hand and washing up liquid) & washing machine detergent. Also plastic bags, cleaning materials etc provided. Cooking tools and utensils, pots & pans of all sizes and types etc, you would normally find in most homes are all provided. There are mains linked battery backup smoke detectors down stairs & upstairs and fire extinguishers on both floors. There are detailed notes on fire safety and Access Statement laid out on the coffee table when you come in, if you could please read the fire safety notes. Outside secure steel bike rack out of sight of road with deep concrete plinth and thick waterproof cover that can cover at least two bikes completely whilst chained to plinth (drops over bikes), with a thick marine grade stainless steel chain and substantial Union padlock (very low risk area). See cyclist page for more information. Patio with picnic table, umbrella and two bench seats (one on shaded lawn area), with lawns & shrubberies. There is a large gravelled drive which means that there is room for more than one car and both can exit independently. One local Public Houses in centre of village with restaurant within easy walking distance. One food shop/Post Office providing frozen food, fresh locally baked bread, green vegetables, general groceries, milk, butter, eggs, meat, medicines, confectionery, flowers and beers, wines, spirits and cigarettes etc, also ability to draw cash on most debit cards (free withdrawals). Brighstone's small local library with computer facilities available (limited opening hours). Public bus service that serves island towns and villages from bottom of our road, also community bus service, we have a bus timetable books in the Carriers Stable. E-mail or Telephone +44(0)1983 740717 to book, we will ring you back if we are out, just leave your telephone number and any enquiry.